I'm actually having problems playing certain tracks in my library. I'm sure the .tags! file points to the correct location of the song files. Do you know how I could fix this? I was thinking a feature that allows u to change the path of source file would fix it. 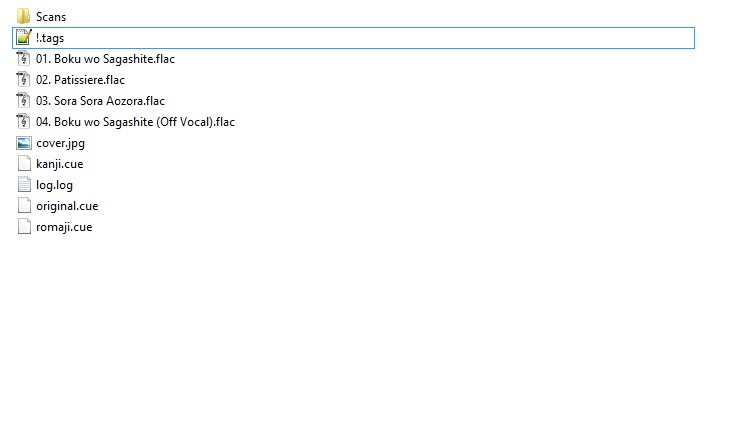 I'm trying to avoid recreating the m-TAGS files, because I have created a lot of tags for these songs already. I noticed that the fields <@REFERENCED_FILE> is empty and <REFERENCED_INDEX> is "-1" for all the songs that are getting the above error. On songs that are working <@REFERENCED_FILE> points to the exact location of the songs, and <@REFERENCED_INDEX> is 0. On all songs <@> field is the relative path to the song. i can get rid of mediamonkey now! It's not a important feature, but what about adding the ability to have some tags that are still written to the targeted file? It would be useful for those who tag rating and last played info in the file. I've tried connectiong to the m-tags.org website many times over the last few days to take a look at the plugin. The site always seems to be down. Down For Everyone reports it's not just my connection either. I use embedded cues all the time. I do NOT use external cue files at all, though. I am not sure that I understand what you are trying to do: embedding a cue sheet in an m-TAGS file? What do you mean for that? m-TAGS files cannot embed cue sheets. You just "m-TAG" either the cue sheet file or the audio file with the embedded cue sheet. Please give me some more details. I do not understand if this is a bug or if you are trying to do something I did not foresee. A file that already has an embedded cue in it works fine. An external cue works fine, too, but I'm trying to reduce how many extra files I'm using. If I understand correctly from looking at files in a hex editor, an embedded cuesheet is actually simply another tag, and when foobar2000 sees it, it knows what to do. If it's a tag in m-TAGS, though, foobar2000 still sees it, but doesn't know what to do, and it only shows up as an extra tag in the Properties dialog. So, as you said, m-TAGS cannot embed a cuesheet, but I don't understand just why it can't. OK, I am back. Sorry for the "disappearance". You are right. An embedded cue file works and an external cue file works too. But ypou cannot embed a cue file in m-tags, because a cue file is an "index" file that identifies parts of a media file. As that is not the purpose of m-tags, there is no point in embedding it (m-tags can refer to parts of a media file, but not "define" them, so it can use a cue file, but not contain it or substitute for it). If you want to reduce the number of files, I suggest that you just do as I do: always embed the cue file into the media file (where it really belongs, as it pertains to the media structure rather than its metadata). On fb2k, just use "Utilities/ Edit cue sheet" from the context menu and import the cue sheet into the media file (cannot do that for WAV files, though). Hi. Thanks for this app. It works the way I wanted it to. Is it possible to somehow change or locate the music source? In case I move the music to a different location. Thanks. Source: "Other..." / "$replace($info(@),'/<old folder>/','/<new folder>/')"
After you click "OK" you will se the "@" tag listed among the tags. If you click "Apply", then the locators will be changed in the m-tags files. Of course you can do the same with masstagger, or you can "Add new filed..." manually in the properties window and manually edit the locator (Field name = @). Needless to say, because an m-tags file is a text file, you can also directly edit the file or write an external script to change the locator ("@") tags. Thanks romor. The site is up now, but keep your copy, for now! The ability to rescan is there. Just rescan the folder(s) and make sure that "File / Preferences / Advanced / Tagging / m-TAGS / m-TAGS creator / Replace existing files" is unchecked. the m-TAGS creator does not rewrite existing m-TAGS files if that checkbox is unchecked, so rescanning is equivalent to updating. As for the other request, playlists are already ignored. CUE files are not ignored because they are part of the media bundle (just like an IFO file is part of a DVD media, and not just the VOB files). The rule applied is that if a CUE file has the same name as another media file (e.g. 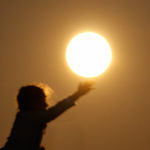 Image.cue / Image.flac), then only the CUE file is scanned (because that is the file containing the media structure information and possibly some basic metadata). If you embed the CUE file into the media files, then you can remove the CUE files altogether and live happily everafter without CUE files around. In this case the media file are scanned, the embedded CUE files are found and processed, and the m-TAGS files are properly created. It is possible, but it would be in contrast with the core mission of m-TAGS, which is never to touch the media files, so it is not going to be implemented. But why would you want to do that, if I may ask? I would imagine that, for example, the last played info would be the LAST thing anyone would want to have directly into the media file. In fact m-TAGS was created in order to prevent just that from happening. Thanks for the reply. My album rips with a single cue file in the directory seem to double up on my playlist. 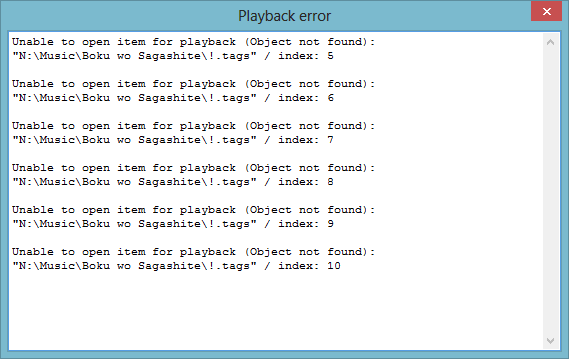 The doubled files pointing to the cue error out, while the ones pointing to the flac (and other audio formats) are fine. I guess the only solution would be for me to delete the cue files, but I was hoping to preserve my torrents' directory structure as they follow a set of strict ripping rules. The behaviour you observe is the correct behavior of m-TAGS when it does not find the files referenced by the locator (@) tags. It is usually due to the files having been moved after creating the m-TAGS file, but it may be a bug caused by some peculiar characteristic of the media files' names. Please check the "File / Preferences / Advanced / Tagging / m-TAGS / Enable verbose logging". Then open "View / Console" and check "Write log". Then replicate the error and send me the log file. Can you please send me the names of a CUE / FLAC (or whatever other format) pair of files? And also the contents of one of the CUE files? Thank you. Hi, I'm trying your component and I found a bug I think. but when I switch to the other playlist view, the playlist entries are replaced with the *real* files. Strangely, I can't reproduce it anymore now??? Hi. I noticed this happens to song directories that have .flac soundtracks and additional .cue files. Notice how I have 3 different .cue file (kanji, romaji, and original). Now look at my foobar2000 playlist, notice how there is also 3 of the album listed in it. I solved this problem by editing the !.tags file for each of the directories that have this problem. I just removed the entries with the .cue in them. There are lots of good sites that the album must be split by tracks, and in the same directory of the album it must have the cue file as other files, like log, etc. And it isn't uncommon to see this even in scene lossless releases. I have a lot of releases in this format, being really painful to edit every !.tags file by hand, and for this reason I would love if there was an option to exclude cue files. One possible suggestion may be to reverse the current approach: only read the cue file if there is an media file with the same name, otherwise don't read the cue file. Or another suggestion that may futureproof it is to make a textfield where the user can fill "restrict to" or "exclude" file types, just like the "restrict to" option on foobar media library preferences, with a default value already in there. Well, philosophically, I do not agree with the need for .cue files for split tracks. It is exactly to avoid that that I created m-tags. However I am definitely sensitive to the difficulty of getting out of habits or to the delicacies imposed by legacy systems. I will look into the "restrict to certain kinds of files" solution. It sounds reasonable independently of the cue issue. But please wait until January, as I am on vacation.... Thanks !!! Media-metadata separation problem already solved by foo_input_monkey.dll. As you can see, you can use with any codec type of source files, works with everything witch supported by fb2k. Only bad thing that foobar2000 can create natively APL files, only for image .ape files with .cue. And it’s main reason why I post to this thread. Maybe author want to not to create own bicycle and just wrote plugin for already exciting solution of metadata separation problem. But you may ask, how you say that you find solution, when this link files can be done only for ape image+cue files? Answer is simple, I wrote simple vbs script. And my work flow, now very simple and quick. First of all, I download music content from whatcd. Then, I give to script path of the album (all whatcd torrents must be in separate folders:) and he create APL files file_name.apl for MP3 or FLAC files, witch it found in directory what I give to him. It practice, I just enter to folder what I download in total commander and hit only one button with start script, another solutions maybe more automatic, for example automatic start script, when utorrent finish downloading, but I don’t try it, because I add to collection not all what I download. Then my fb2k collection settings to monitor only *APL files in my music directories, so when APL files created it automatic adds to fb2k collection. When this apl file with only path to file and without tags gets in foobar2000, fb2k read tags of source files and wrote them to APL files. So in collection your new albums already get tags from original files, and then you can correct them as you wish. Already size of my collection is ~2TB (MP3 and FLAC) and all it, foobar2000 see throw apl files. I don't find any problems with this solution. But year ago one of my hdd start damage, so many music files was damaged, but I just copy it to another hdd, start recheck hash in utorrent, download damage pieces and main things, that it don’t touch my fb2k collection tags and statistic. WOW! I love p2p! So again, my English is not perfect, may be I wrote not well for understanding, what I mean, but I think that this solution is already perfect works for this kind of problem, except creating apl files. Because in m-tags I don't find any advantage over APL method. So may be author of m-tags want to solve problem with creating apl files with foo_plugin, and start populized it (web site) because vbs method not trivial to understand for average p2p user. P.S. Also I will glad to answer any questions, because I want to get more seeds on torrents And may be anyone adds any info about APL files to hydrogenaudio wiki, and maybe gives link to solution, how to used them to solve metada separation problem. You can do what your script does in two line batch file, as you are just copying same template for each file in all subfolders. This component purpose if way above letting you tag seeds, so I see your post off-topic and inappropriate. I also, don't want to discuss my script, because I am not author of it. Also you are right, it searches files recursive. When two years ago, I try to wrote this script in batch I have some errors with encoding, because if create apl files not in UTF-8 without BOM (in batch I don't find how to do it), fb2k have some errors. I don't remember exact problem, but if you wish i can find my notes about this. Also I don't see problem, if this realization bigger then 2 lines works for me around two years without errors. The main idea of my post, was to show, that fb2k (because this topic in fb2k forums) already have a native (Peter author of foo_monkeys_input) working solution of problem, that describe author of this topic. Only difference in format of storing metadata. APE tags instead JSON. nthing the request for the ability to ignore .cue files :) I've only just come across this component and I can tell it's going to save me a lot of heartache in the future! I'm too impatient to wait until January though (although I'm going to have to). But thanks for creating this in the first place! it can't be used to tag opened remote file, using windows share. mtags file created, can be opened, but can't be played. when trying to create mtag using file>mtag menu, remote shared folder only show administrative share, like C$, D$, dll. other share doesn't show up. updating exist file instead of replacing it when creating mtags file, giving possibility to create single db. when creating mtags file from opened file, add possibility to automatically replace selected file with mtags one, so we don't have to delete them from playlist and manually adding mtags file. Can you please send me logs of your attempted operations? I needed some technical detail, but as m-tags.org website is down I have to ask the question here rather than get it there. Can I use this component as a temporary container for preserving metadata? My scenario: I got FLAC file, well tagged (using custom fields). I noticed it has a glitch somewhere so I opened wave editor, removed the glitch and saved it. In most cases wave editor discards most of metadata, and preserves only few standard fields. In worst case tagging is not supported in wave editor at all. Other situation: I got old mp3 file - well tagged, with custom fields - that's obvious. Finally it gets released digitally, so I buy the new mp3 at Beatport. I put the same name for new file as for old one and overwrite old one with new one. In both cases I need a way to preserve tags in an external container to restore them back in edited FLAC or newer mp3 file. 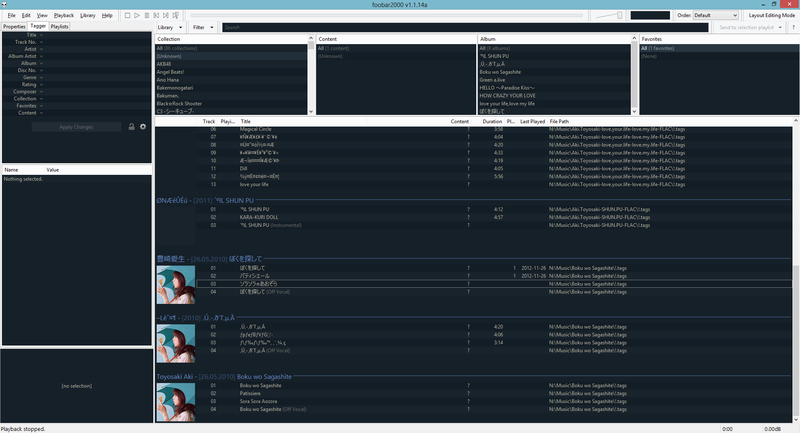 It is possible with foobar with Media Library disabled or at least with disabled real time monitoring of ML folders. But since I started using ML i don't want to disable it. Does m-TAGS have option/command to first save metadata to .tags file, and then to write them into mp3/flac files from .tags file?